Liquid lip colors seem to be very popular nowadays, but I haven't gotten on the trend. I think I am still partial to lip tints and conventional lipsticks even. However, a few days ago I impulsively added a tube of L'Oreal Infallible Lip Paints to the shopping basket while I was ordering dish soap and laundry sheets. L'Oreal has impressed me with their lip products over the years (Wet Shine Stain range is still one of my favorites - it seems that the range is being discontinued but is available on eBay, of course. I've stocked up. ), so I figured trying one from their take on liquid lip color would give me some ideas. I am actually a big fan of this tube packaging. It is simple, clean, and functional. It is not bulky but holds a good amount in (8 ml). The flexible container will be handy for getting the last bit out of it (if I ever get to that point, I mean). The much-boasted "designer applicator" is just a doe-foot applicator. Nice quality and a perfect size, though. Maybe the tip looks a little different from others, I am not sure. It does get the job done. I can get to every corner of my lips and control color intensity quite easily. If this is what they mean by "designer", I concur. Designer or non-designer, the difference lies in small things like this after all. It is admirable that a more conservative drugstore brand like L'Oreal has included unconventional shades such as blue and lilac. It is a shame that I picked up another fuchsia pink as I already own at least ten of the similar sort. Admiration aside, I knew that I wouldn't be sporting blue or lilac (and I am not a makeup collector) nor was I interested getting neutral colors in an opaque cream formulation. On my lips, the color translates into something bluer, which isn't a bad thing at all. It is indeed very pigmented and the swatch is made with a very thin coat of the color. 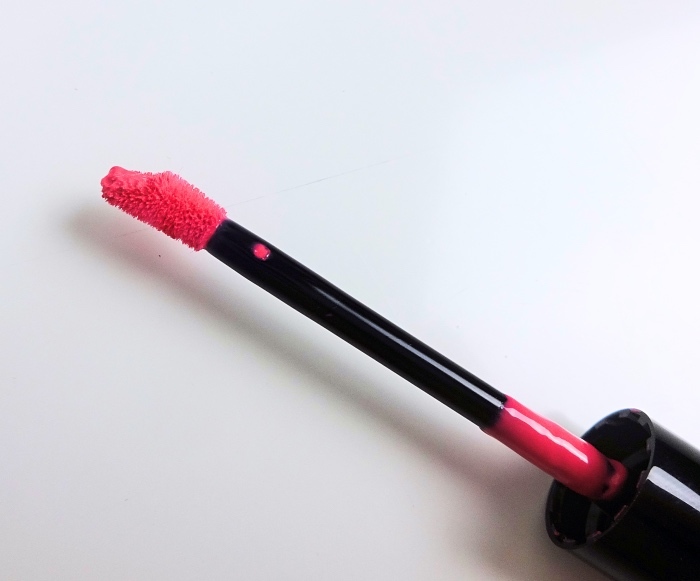 The formula is on the thick side but easy to control thanks to the applicator. The finish is creamy and almost glossy. This is not something that sets matte, but you can achieve something similar with light blotting. As most hot pink do, it stains the lips decently. There is a faint scent but nothing too overpowering. 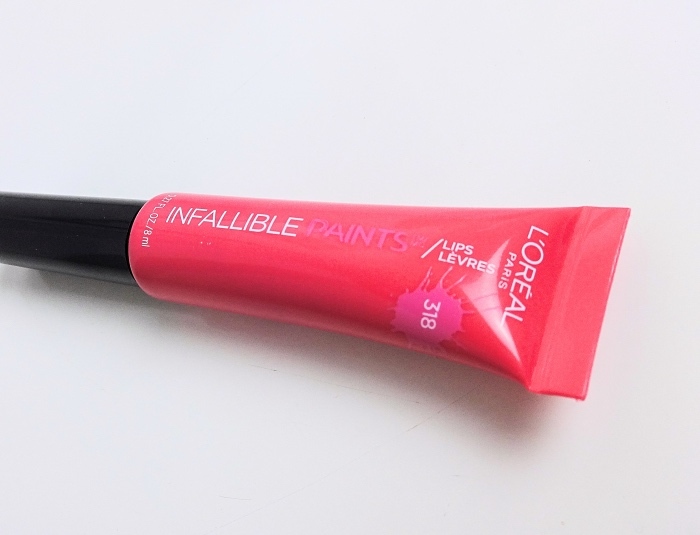 I think L'Oreal Infallible Lip Paints delivers almost all they claim. It does not last all day long, however. 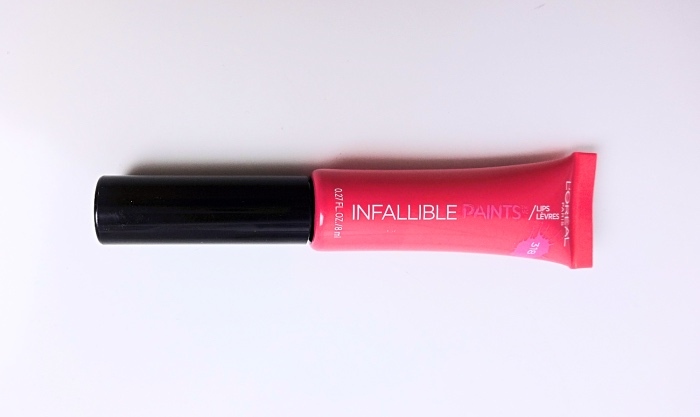 The Infallible lipstick range lasts much longer in my opinion (this reminds me of that I have another L'Oreal lip color to review). 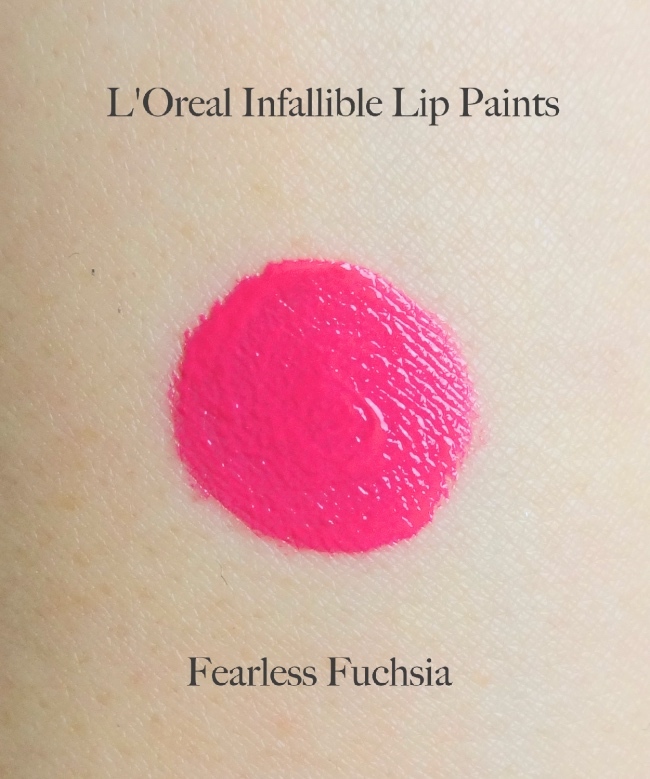 L'Oreal Infallible Lip Paints is a great affordable option if you are keen on liquid lip colors with creamy opaque finish. I like it a lot and will keep using the shade I bought. Plus I have no objection to having my favorite lip color in all possible textures. I don't think I would have an extensive collection of liquid lip colors anytime soon, though. As I get older, finding a right lip formulation is becoming more important than a pretty color. This is just not it. Ooh pretty Lena! 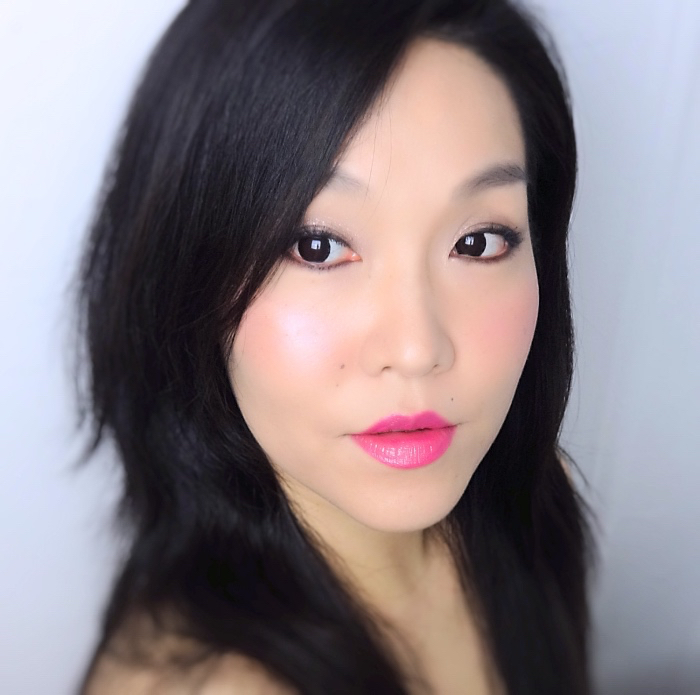 The creamy opaque finish on this lip color looks and sounds very nice. I only got into liquid lip colors last year and finding one that combines comfortable texture and long wear is quite the challenge. I've been layering two from Armani Beauty and Aveda to get that balance. Happy new week to you! Thank you, Rowena! I think we are on the same page about liquid lip colors in general. For me, a makeup has to serve a practical purpose and Infallible Lip Paints does serve some, but it comes a little short. 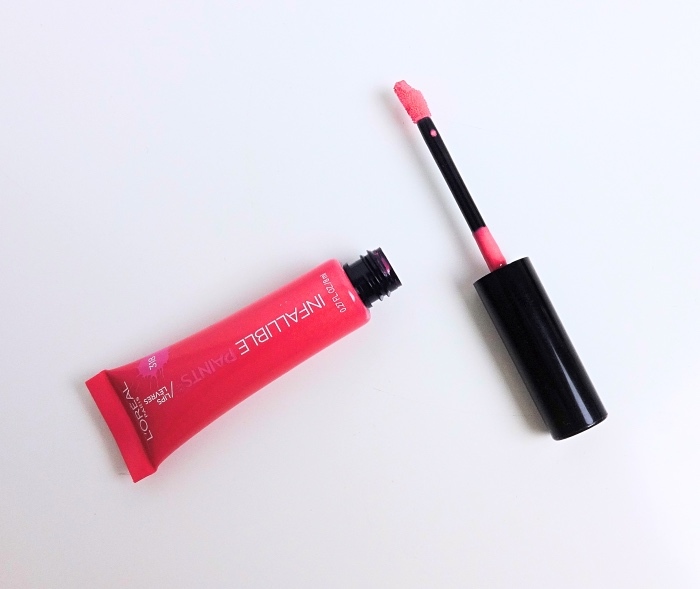 I'd rather go with a lip tint/gloss combination, which I think gives more youthful effects. Thank you, Lily. I had a feeling that I'd still prefer lipsticks and tints and maybe that's why I picked something from drugstore. ;p I won't feel as bad to toss it away when it's time. It is not bad at all, but I am already spoiled by other things that feel better on me or last longer. The color is so striking, though! But I know what you mean - a good formula means you'll wear it, and that's what matters these days!